In this elegant, literate primer, a master stonemason imparts the fundamentals of building traditional New England-style dry stone walls, along with thoughts on the history, aesthetics, and philosophy of the craft of placing stone. 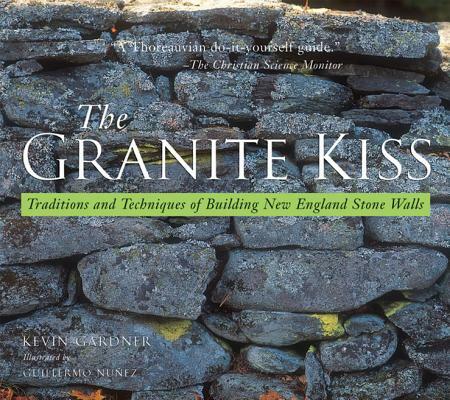 In this eminently readable primer on the fundamentals of placing stone, Kevin Gardner distills 25 years of experience in building and repairing New England-style dry stone walls into principles and practices that are adaptable to a wide variety of designs and circumstances. In addition to directions on building basic stone walls, he also demystifies steps, wells, ramps, walkways, and may other forms of dry masonry. Gardner also discusses the philosophy behind the repair and restoration of old walls, and gives the beginning wall builder ways to think about the place of the stone wall within the landscape. Along the way, Gardner considers the mythology of the stone wall and its place in the New England imagination. And he explores the history, philosophy, and aesthetics of working with stone in a book that will bring as much pleasure to armchair craftsmen as it will valuable instruction to the beginning wall builder. Selected as one of 2001's Best Gift Books by The Times of Trenton, New Jersey; one of the 50 best nonfiction books of 2001 by the Christian Science Monitor. 22 black & white illustrations, glossary, bibliography, index.